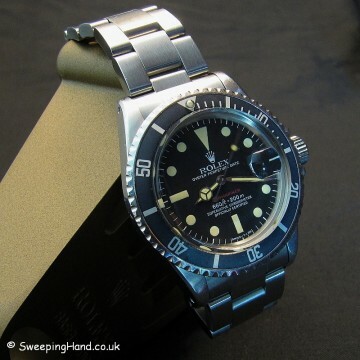 Here we have a Rolex Red Dial Submariner For Sale from 1973. 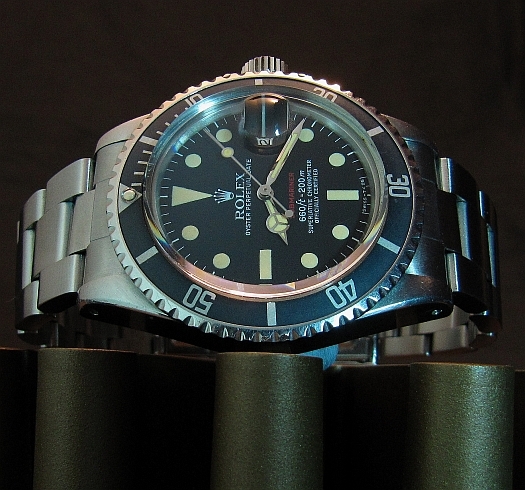 A Rolex Red Submariner is a must for all Rolex collectors. This one is a later Mark 6 feet first dial dating from 1973. The hour plots have turned a beautiful deep yellow on this watch and the matching Rolex hands all contrast perfectly with the matte black dial. Lovely faded fat font insert that has turned a deep grey like the dial and with matching tritium pearl. Obviously the splash of red in this vintage submariner really finishes this red sub off nicely. Case & Caseback: A correct 3.7m serial Rolex 1680 case in excellent condition with nice fat lugs. 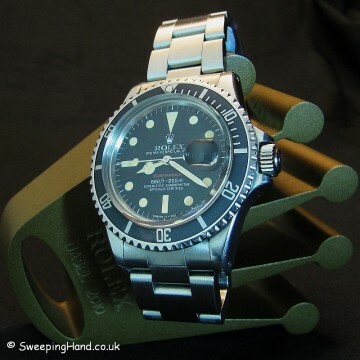 Rolex caseback correctly stamped with model number and has service inscriptions. Serial numbers clearly visible between the lugs. Nice Rolex fat font insert with matching pearl. Bracelet: Comes on a like new Rolex 93150 bracelet with correct Rolex 580 end pieces. 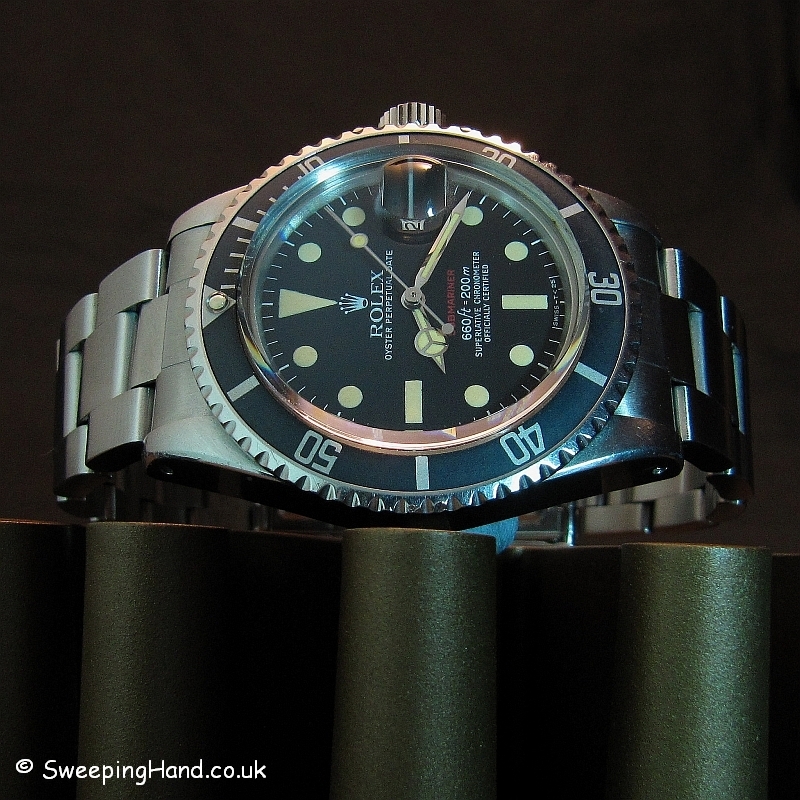 Movement: Original hacking Rolex 1570 movement keeping great time having been recently serviced.